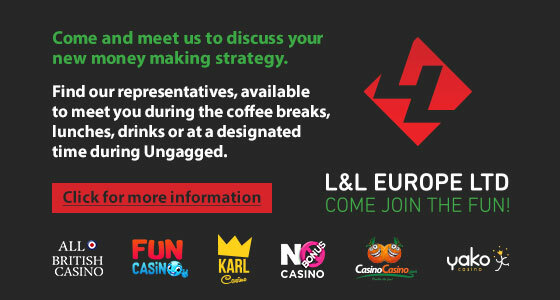 L&L Europe has been in operation for 5 years bringing a group of geo targeted and niche casinos to the online gambling market. Under the L&L Europe group you will find localised casinos such as: Karl casino, Norgescasino, All British casino and Norskeautomater, which all go on to prove that localised casinos convert better. Come see us at UnGagged! On top of the localised brands L&L offer some very niche casinos with their own unique selling points, such as; No Bonus casino, Casino Casino, Yakocasino, Hyper casino and Yeti casino. At L&L Europe Ltd. customers can expect all of the above and much more. In addition, we have created a little twist that separates us from the competition: We build localised and niche casinos. This means that the casinos owned and operated by L&L Europe Ltd. show good conversion, great retention rates and high player value.